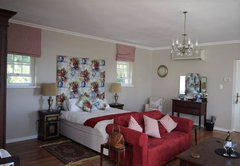 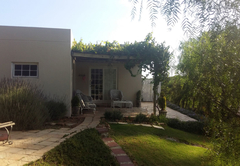 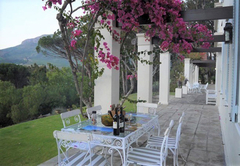 Morton Manor is a highly recommended property providing self catering in Somerset West for tourists visiting the Cape Helderberg region. 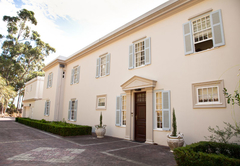 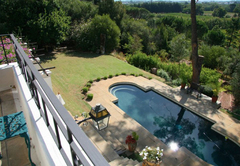 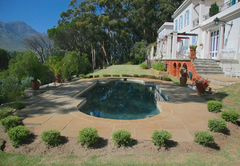 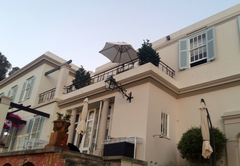 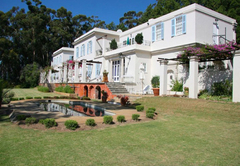 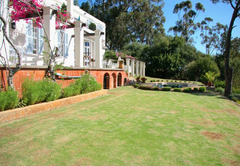 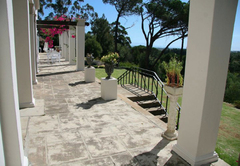 Morton Manor is a unique property in Somerset West, located only 35 minutes from Cape Town. 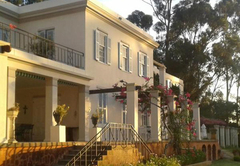 The Manor House is Georgian in style, and was built in 1948 by the well-known British author, travel writer and journalist, HV Morton who became famous when he, as a 23 year old journalist, went to the opening of Tutankhamen. 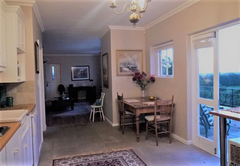 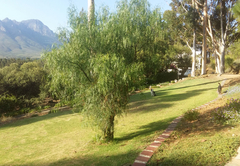 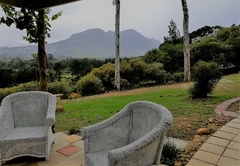 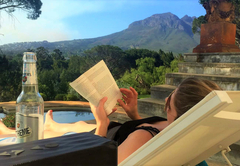 The property is located on the slopes of Schapenberg and enjoys views of the Hottentots Holland Mountains and Helderberg Basin as far as Table Mountain and the False Bay coastline. 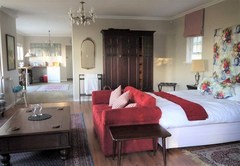 The accommodation offered is a fully-equipped apartment (150m²), located on the first floor of the main manor house, which is self-catering and offers the following: wardrobe / closet, we offer an extra length Queen-size bed, bathroom with shower only, private balcony with patio furniture and umbrella and magnificent views of the pool, garden, mountain and city views, and False Bay. 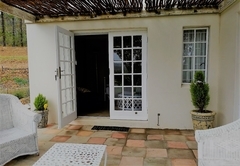 The unit has its own private outside staircase. 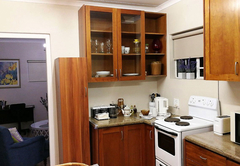 The kitchenette is fully equipped with a microwave, bar fridge, kitchenware, stove top, kettle, toaster, cleaning materials etc. 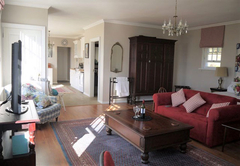 The living area has a seating area with two sofas, desk, and dining area. 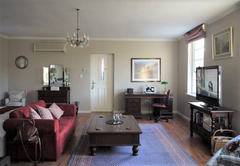 There is a large flat-screen TV with DStv and free Wi-Fi and internet. 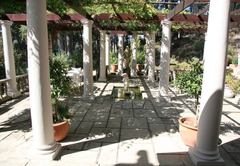 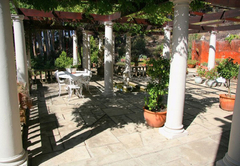 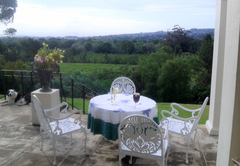 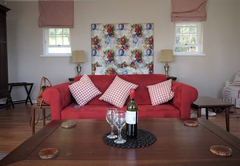 Guests have use of the garden, terrace, sun terrace, Italian garden and outdoor furniture. 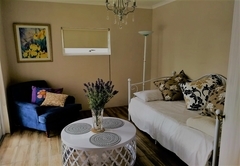 There is secure private parking on site and a daily maid service (free), laundry and ironing is available (extra). 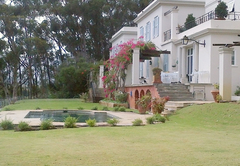 The owner has 3 friendly dogs living on the premises. 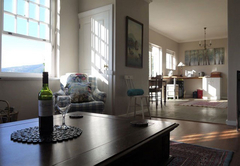 This modern styled cottage boasts great views of the mountain. 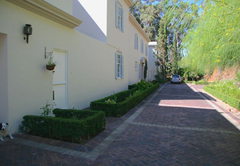 With a floor size of 120m² and quality finishes throughout it is ideal for a couple. 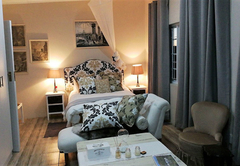 There is a large bedroom and living area with a flat-screen TV with DStv. 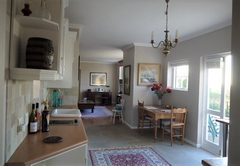 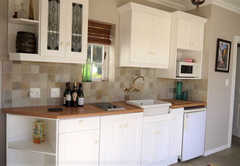 The fully equipped kitchen is furnished with granite tops. 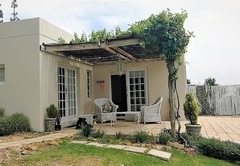 This secure cottage has a remote controlled gate, electric fencing, burglar bars and trellidoors. 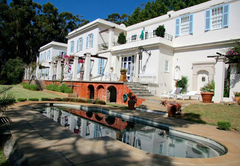 The accommodation offered is a fully-equipped apartment (150m²), located on the first floor of the main manor house, which is self-catering and offers the following: wardrobe / closet, we offer an extra length Queen-size bed, bathroom with shower only, private balcony with patio furniture and umbrella and magnificent views of the pool, garden, mountain and city views, and False Bay. 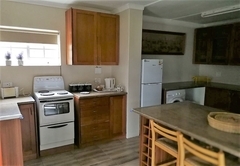 The unit has its own private outside staircase. 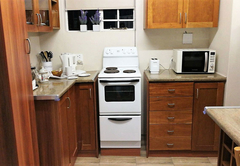 The kitchenette is fully equipped with a microwave, bar fridge, kitchenware, stove top, kettle, toaster, cleaning materials etc. 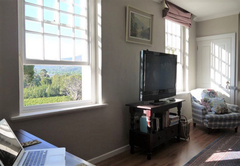 The living area has a seating area with two sofas, desk, and dining area. 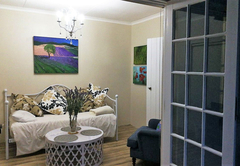 There is a large flat-screen TV with DStv and free Wi-Fi and internet. 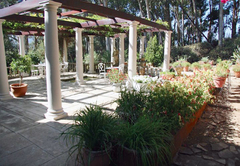 We enjoyed our stay at Morton Manor. 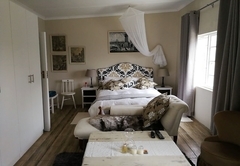 Mrs. Wasdel the owner was very friendly and helpfull. 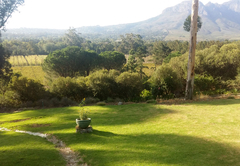 The place is wonderfull and quiet, and the view is fantastic.